I'm not entirely sure how we're already a week into March, but there has been so much going on behind the scenes over here and I'm excited to share some fun news! + I'm going to be an Aunt!! For most people this isn't a huge surprise but I'm an only child so that makes the odds of me being able to spoil someone else's baby a little lower. To top it off, its a girl so I finally get to buy all the baby girl things! 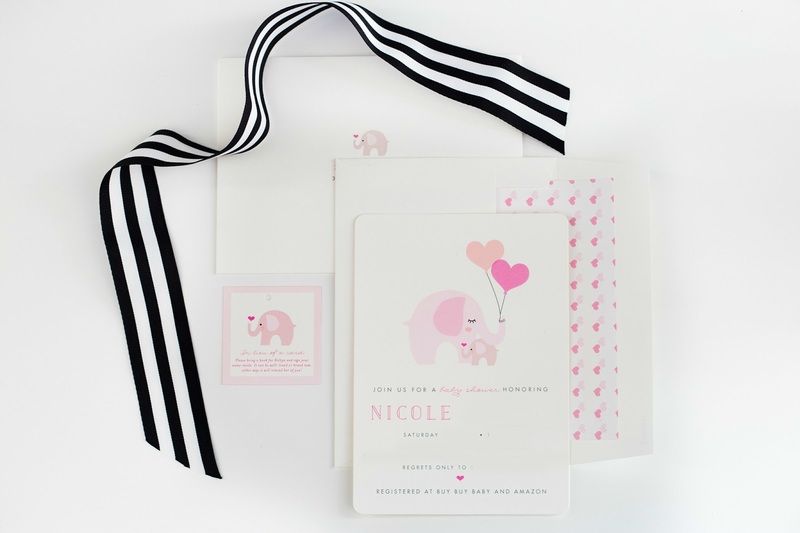 I'm co-hosting her baby shower and I'm just a little obsessed with this sweet little elephant invitation. Minted nailed it again... the rounded corners and envelope insert are totally worth the upgrade in my opinion! We're going to keep the elephant theme kind of minimal but focus more on the color scheme. Next up, I have to start working on some table decor and a banner. + Because I don't have enough on my plate I thought it would be fun to officially start a photography business! This is something I've been wanting to do for a long time but didn't have the confidence or even know where to start... so a huge THANK YOU goes out to all of my friends and family for their encouragement and advice! I'm starting slow with a few families that we know in the area but once I get some of my portfolio built up I'll share more info! 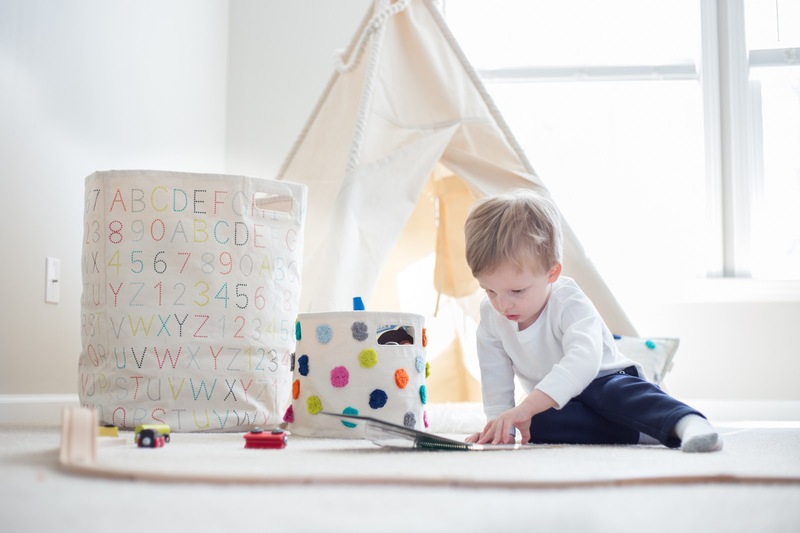 + You might spy a familiar room in Shutterfly's 100 Cute Baby Boy Nurseries post! 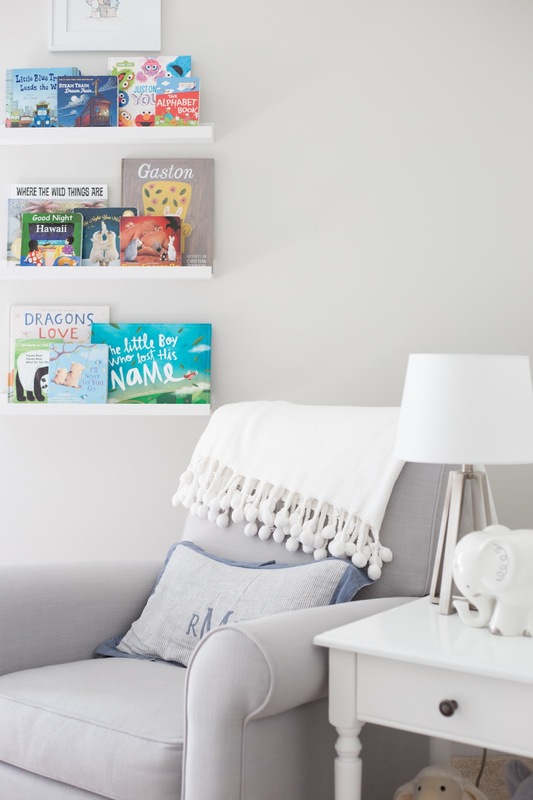 I'm so flattered they featured Rowan's nursery, now that we're inching closer to a big boy room it was so fun to look back and see the room we brought him home from the hospital to! There is some seriously amazing inspiration there, including baby girl rooms and themes, so if you're expecting don't miss it! + Speaking of babies, I love this post on new mama advice from Baby Aspen! I was so excited to contribute and honestly it was tough to narrow it down to one piece of advice... if only I could go back to my first time mom self and read this! + I think we're officially at the stage where R repeats every single thing we say, last week he told me I had to leave his play area because he and my husband were doing "man stuff." He is also really into trains all of a sudden, does anyone have a train table you recommend? Did your toddlers play with it enough to make it worth it? So what is new with all of you?! I need a major catch up session! Love that article about advice for new moms. Totally trying to soak up every moment in my delirious, sleep deprived state! So exciting that you are starting up a photography business! I would love to do that one day too, but alas right now life is just too crazy for me :(. Congrats on being an aunt of a baby girl! love baby girl clothes.